At Apple’s keynote address today led by Tim Cook we’ve learned that an Apple TV update now lets users control the device via Siri voice search. This means less clicking around to find what you want (although folders are coming to the Apple TV interface) and the ability to dictate user names and passwords. How accurate voice dictation is we’ve yet to find out. 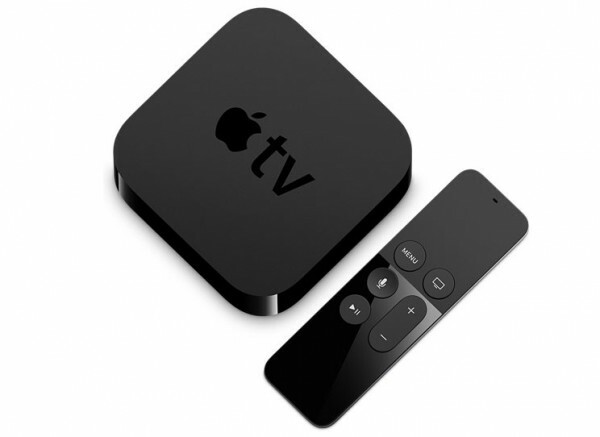 Cook also boasted Apple TV sales have been the largest ever for the product, with 5,000 apps available through the App Store. The addition of voice search through Siri (included in the tvOS 9.2 update) is a long overdue feature that has been available on Fire TV and Roku for some time now. And, what may be the most awaited for news Apple announced a smaller iPhone called the iPhone SE. The iPhone SE looks a bit like the iPhone 5 but is as powerful as the iPhone 6s with a 64 bit A9 processor and M9 motion co-processor. The iPhone SE has a 12-megapixel iSight camera that can capture live photos and features retina flash, “focus pixels,” 1080p video up to 60fps, and slow motion video up to 240fps. The iPhone can also record video up to 4k and Panoramas can be captured at up to 63 megapixels. The 4-inch iPhone SE will sell for $399 (16GB) and $499 (64GB).